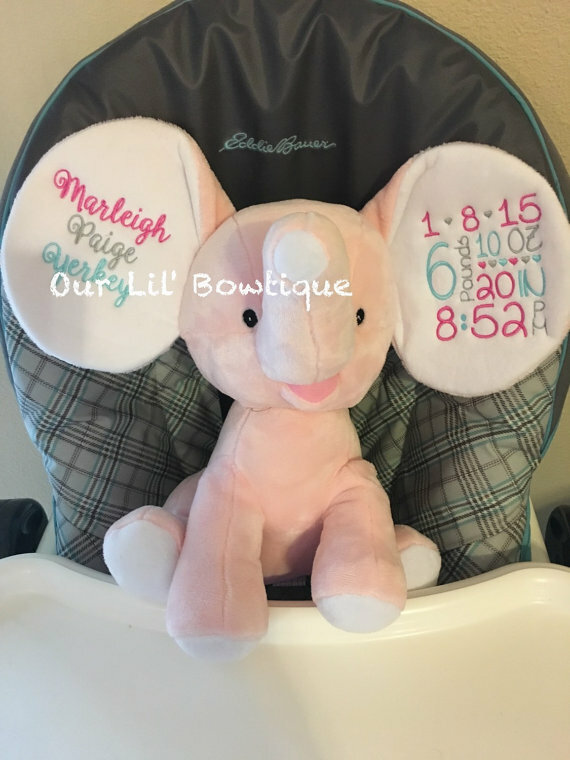 This adorable Subway Art Personalized Dumble Elephants are customized with new babies birth information. 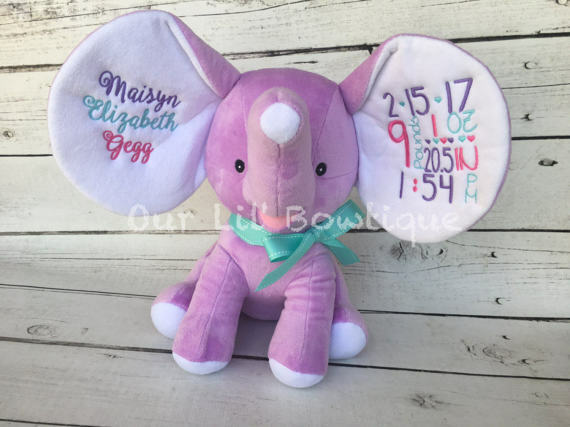 Personalized Elephants are custom made to order and are generally shipped within 15 business days. 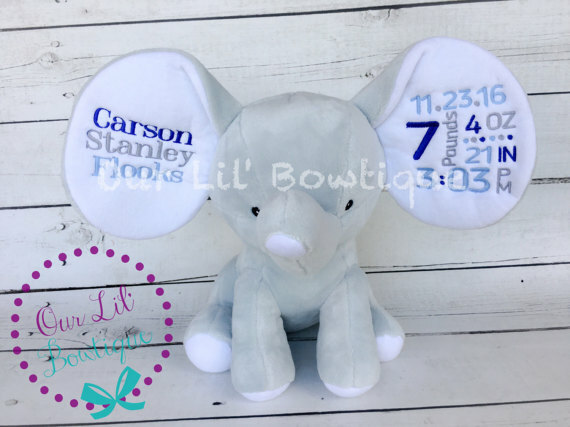 As the cubbie is personalized for you, returns are not accepted and refunds are not issued. Please convo if you have any questions prior to ordering. PLEASE TAKE NOTE OF PROCESSING AND SHIPPING TIMES! IF YOU NEED THE SHIRT SOONER YOU WILL NEED TO PAY A RUSH FEE AND POSSIBLY AN ADDITIONAL SHIPPING FEE! IF THIS TIME FRAME DOES NOT WORK FOR YOU PLEASE MESSAGE US FIRST TO CREATE A LISTING TO INCLUDE RUSH FEE.